According to a new report by Moody’s Economy.com, the freefall in U.S. housing prices will ease by the end of 2009, but not before sliding another 11%. Other analysts say that a sustained turnaround is still months away, and may not begin until 2010, due to the glut of unsold properties on the market. But these numbers indicate that the worst may be behind us. U.S. housing starts rose unexpectedly in February. The annual rate of 583,000 homes was a 22% rise from January, and was likely influenced by warmer weather and an 82% surge in multifamily construction. It ended the longest series of declines in 18 years. The overall economy, though, will likely take longer to recover. “Policymakers have not yet been able to break the downward spiral that has developed among the sinking housing market, job losses, frozen credit markets, and rising foreclosures,” the report states. The nation is not expected to see a jobless rate of less than 5% before President Barack Obama’s term concludes in 2012. Attendance at World of Concrete, held the first week of February in Las Vegas, Nev., was down significantly, a somewhat expected result of the current weak economy. The official attendance number was about 65,000, a drop of 23% from the nearly 85,000 that came to last year’s show. Interestingly, the number of exhibitors and square footage of exhibits dropped a mere 3%. Many major ICF manufacturers stayed away from the International Builder Show (IBS), held two weeks earlier in the same convention hall, to maximize their exposure at WOC. As in years past, most ICF manufacturers were in the North Hall. The ICF Builder Awards, the annual “project-of-the-year” competition, were also presented at the show. More than 250 of the most influential personalities in the industry enjoyed an relaxing evening of socializing and networking after the presentation. Two ICF show homes were built this year, the New American Home with Arxx ICFs, and the NextGen Home with Nudura ICFs. The New American Home was closed during WOC, but the NextGen home reportedly received a steady stream of visitors. The 5,200 sq. ft. NextGen Home is expected to be 95% more efficient than today’s standard home. Much of this efficiency is a direct result of the ICFs. The home is also certified under the Fortified for Safer Living program to withstand the most prevalent natural disasters in the region, wildfire and earthquakes. As crude oil prices continue to fall, a pair of ICF manufacturers are raising eyebrows by decreasing their prices. Lite-Form Technologies, which manufactures Lite-Deck, Lite-Form, and Flexx-Block, has also lowered prices significantly. The two primary materials used in ICFs, polypropylene (PP) and expanded polystyrene (EPS), are petrochemicals, meaning they are made from crude oil. Hall pointed out steel prices have also fallen, and Lite-Form is now selling Lite-Deck in some cases matching prices from three or four years ago. Insulated Concrete Walls (ICW) is now selling franchises for select regions of North America. Launched in 2003, ICW has quickly become an industry leader in the professional installation of Insulated Concrete Forms (ICFs). With offices in Florida, California, Arizona, and Colorado, they are one of the only installation subcontractors with operations coast to coast. At the World of Concrete show in Las Vegas, COO Jeff Alexander announced they would now be franchising their business model in additional areas. Initial setup is $30,000 per market, with 50% due at signing, and 5% of all sales revenue. That’s on top of equipment and office set up. Alexander estimates that total initial costs (outside of the franchising fees) will be $100,000 to $150,000. For those already in the ICF business, start-up costs will be substantially less. For more information, or to download an application form, visit www.icwalls.com. Amazon Forms One, Inc. a Texas-based ICF manufacturer, has filed for bankruptcy. The company manufactured Grid-Wall, a cement-EPS composite block similar to Rastra or Apex, and was headquartered in San Antonio, Texas. The company began manufacturing block in late 1999, and Grid-Wall enjoyed a significant share of the ICF market in the region. Last year, business website Manta.com estimated annual sales as 1.2 million. But rumors circulated that the company was for sale. By summer, internet chat rooms logged several conversations about unfilled orders. This spring, creditors received notice that the company had closed its doors for good. Investors seeking to purchase company assets should contact the Bankruptcy Court for the Western District of Texas. A lawsuit between Airlite Plastics, owner of Fox Blocks ICF, and Nudura Corp., another ICF manufacturer, has been settled. The suit was filed by Nudura and Polyform in October of 2007, alleging the design of Fox Block infringed on its patents. The case went to court earlier this year in Omaha, Neb., and in March 2009, the judge decided that Airlite had not infringed on Patent No. 6,401,419, which covers various aspects of the tie and interlock used on Nudura’s trademark green foam panels. Lite-Deck, an EPS forming system used on floor decks, balconies, and tilt-up construction, is now more sustainable than ever. Beginning last fall, Lite-Form Technologies began using 100% recycled foam in the “top hats” that control the depth of the concrete beam pockets. The move created considerable discussion in the industry, with some claiming it constituted deceptive advertising. The company displayed recycled Lite-Deck at both the International Builders Show and World of Concrete. Flecks of pink and blue regrind were clearly visible throughout the top hats. 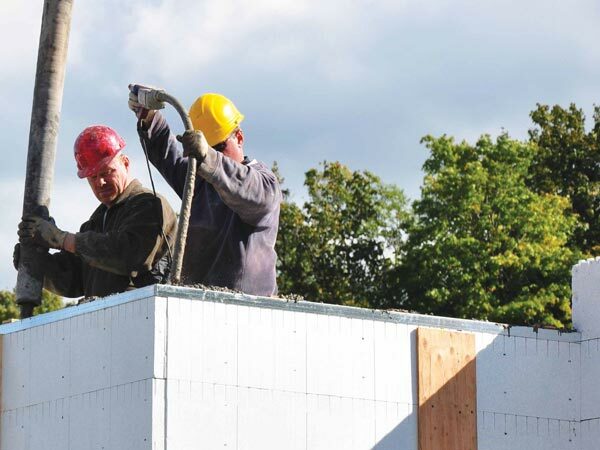 The company has partnered with local roofing contractors to recycle their roof tear-off, diverting thousands of cubic feet of material from the landfill. In March, Logix announced a new “Greenbate for Homes” program. Under the new program, single family homes that certify under any of the major green building programs will receive a rebate of one dollar per full-height block used. To qualify, the home must feature full height (footing to roof) Logix ICF exterior walls. The first shipment must be made in 2009, and certified no later than Dec. 31, 2010. In addition, owners must agree to supply Logix with energy data and photos of the home. Green certifications that qualify in the U.S. include LEED-H, NAHB Green Building Certification, and the U.S. Dept. of Energy Builder’s Challenge. 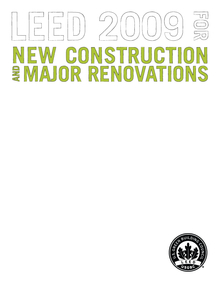 In Canada, programs include LEED-H, R-2000, and the Energuide for New Homes. For more information, visit www.logixicf.com. 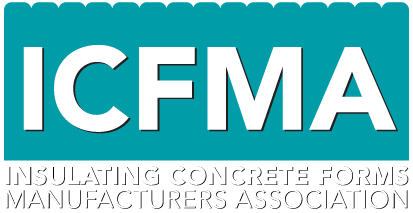 The Insulating Concrete Forms Association (ICFA) is hoping to make insurance discounts available to those who live in ICF homes. “We have long promoted that insurance discounts should be available for ICF construction, but have found in reality for this to not always be the case,” says Steve Heller, executive director of ICFA. agent that has been able to process a discount for ICF homes, ICFA would like to collect that information. They hope to compile and post online an interactive map of resources. Send insurance contacts to sheller@forms.org. Quad-Lock Building Systems, a leading ICF manufacturer based in Vancouver, British Columbia, is expanding their international reach. The company already enjoys a strong presence in the U.S., Canada, Mexico and Germany. They recently announced they completed a three-story office building in Bulgaria. It’s believed to be the first commercial ICF project in that nation, and is designed to withstand tremendous seismic loads. The company has also published their training videos and installation manual in Spanish. “This is ideal for installers in the southern United States and elsewhere who have Spanish-speaking installers on their crew,” says Wendy Davidoff, marketing director at Quad-Lock. The company is in the process of translating videos and the installation manual into German as well. The company already has prepared ICF brochures in German, Estonian, Slovakian, Hungarian and Czech. In March, the EIFS Industry Members Association (EIMA) and the Association of the Wall and Ceiling Industry (AWCI) agreed formally to work together to advance the exterior insulation and finish system (EIFS) industry. The move began when EIMA’s long-time director, Stephan E. “Steve” Klamke, retired. The board of directors then began looking for association management services to fill that role. AWCI was a logical choice, and the two associations agreed on the terms. The two associations already have a broad overlap of members. “EIMA’s expertise in product technology, codes and standards, combined with AWCI’s industry education programs and association management skills are a perfect marriage,” said EIMA President David Boivin. EIMA will relocate its headquarters to the AWCI office building in Virginia, but will continue to operate as an independent association and will be governed by the current EIMA board of directors. “Members of both organizations have worked well together for a long time, and we plan to further build on this relationship,” said AWCI President Jim Keller. As media and government continue to advocate green building, green building standards continue to evolve. The U.S. Green Building Council (USGBC) is the clear market leader in green building certification, with more than 10,000 individual projects seeking certification under their Leadership in Energy and Environmental Design (LEED) program. Their LEED-Accredited Professional (LEED-AP) certification courses, as well as the LEED building standards they administer, are highly sought after. In February, The USGBC formalized the credits for LEED 2009, an update to their internationally recognized program. Among the most significant changes is that LEED has reallocated the number of points that can be earned in a given area. According to the USGBC, this was done to give the most urgent environmental priorities more emphasis. For example, reducing a building’s carbon footprint is given more importance under the new system, while indoor air quality is de-emphasized. LEED 2009 or LEED Version 3 (LEED v3) will also incorporate regional credits, extra points that will be awarded based on priorities within a project’s given environmental zone. With the changes, USGBC has also committed to develop LEED on a set schedule based on the same method as building codes; the next published revision is set for 2011. Buildings can certify in one of five different areas: LEED for New Construction/Core & Shell (LEED-NC); LEED for Existing Buildings (LEED-EB); LEED for Schools; LEED for Homes (LEED-H), and LEED Retail. Two years ago, the National Association of Home Builders (NAHB) announced they were developing their own program, called the NAHB Model Green Home Building Guidelines. The program was formally unveiled at last year’s IBS show. Now, the NAHB has announced a new green building standard, developed in conjunction with the International Code Council (ICC), and the American National Standards Institute (ANSI). Called the National Green Building Standard, the new program is intended for residential construction work including single-family homes, apartments, condos, land development, and remodeling and renovation. It defines what green practices can be incorporated into residential development and construction and how home owners can operate and maintain their green homes. It also allows home builders and buyers options based on climate, geography, style, and budget. The new standard competes directly with LEED for Homes developed by the USGBC. Promoters of the new NAHB/ICC system point out several advantages of their system. NAHB will also continue the NAHB Model Green Home Building Guidelines they launched last year ago. Jim Neihoff, who represents the NAHB’s Concrete Home Building Council (CHBC) and the Portland Cement Association (PCA), notes that the cement industry was directly involved in deliberations. The standard outlines more than 30 separate green building practices where cementitious products can help a residential project qualify for points toward certification. The program guidelines can be purchased through the NAHB bookstore.